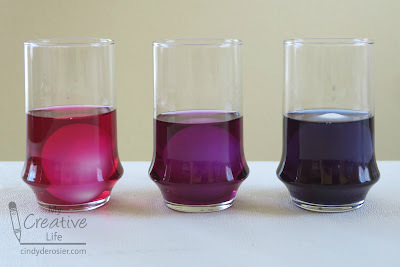 After using red cabbage juice as a natural pH indicator, I was curious to see if the resulting shades could be used to dye eggs three different colors. 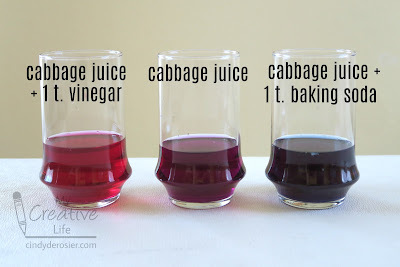 I made a fresh batch of cabbage juice, then divided it into three glasses. 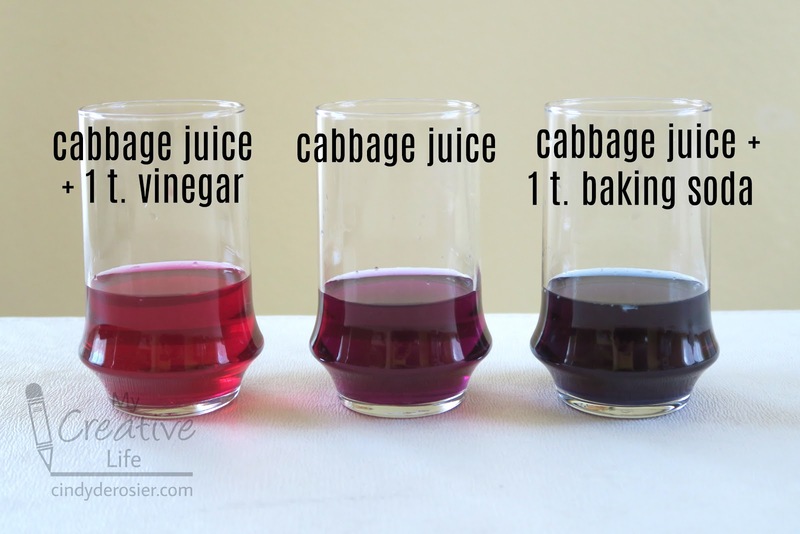 I added a teaspoon of vinegar to one (it immediately turned red), a teaspoon of baking soda to another (it turned blue), and left the third just cabbage juice. I carefully added a raw egg to each cup. Immediately, there was an unexpected difference. 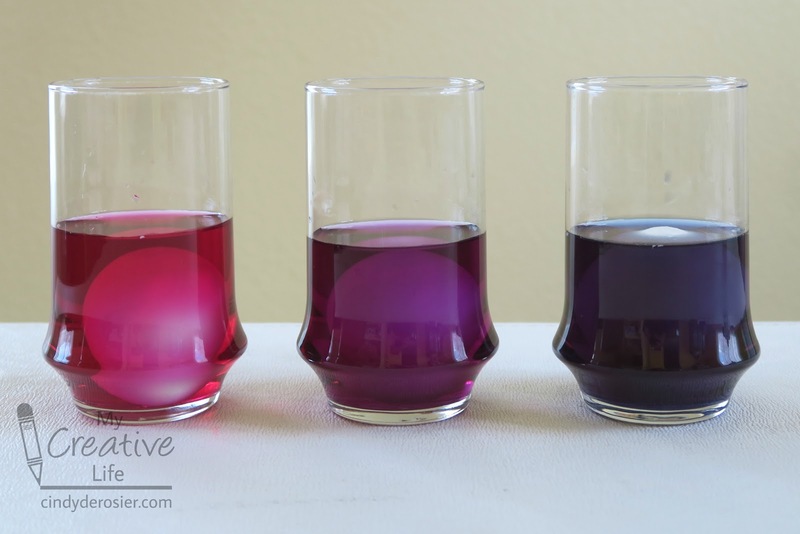 The egg in the acidic solution sank to the bottom, the egg in plain cabbage juice hovered, and the egg in the basic solution floated. Fascinating! The eggs all came from the same carton and were stored in the same way, but I have no way of knowing if they were not all the same age. It's possible that I coincidentally put the oldest egg in the basic solution and the youngest in the acidic solution and that's what caused differences, but it's also possible that the acidity of water affected the specific gravity. However, as intriguing as that question was, it wasn't the question I was trying to answer. I left the eggs in the cups overnight and then checked the results. Unfortunately, they were a bit underwhelming. 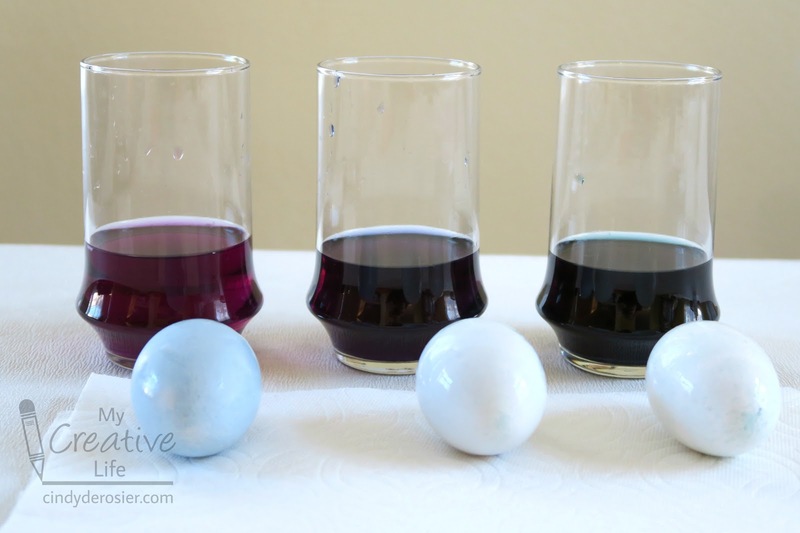 The acidic solution resulted in a gorgeous light blue egg (not the pink I'd hoped for), while the neutral and basic solutions barely tinted the eggs at all. They were both very, very pale. Yet there was another surprising result! The egg that sat in plain cabbage juice was perfectly smooth, with no imperfections or calcium bumps whatsoever. Another coincidence, or a result? I'm not sure. The three eggs seemed identical at the beginning of the experiment, but I suppose it's possible that I didn't notice that one was silky smooth and the others were normal eggs with minor bumps. 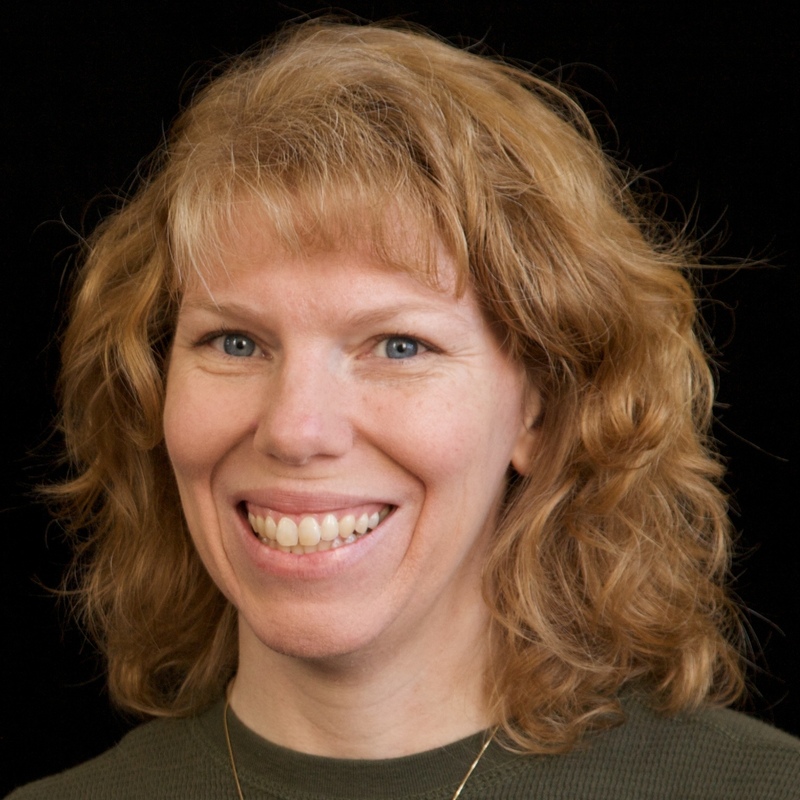 So, one question asked and answered, and two more unexpected questions raised! Science is fun! Yes, science can be so much fun and full of unexpected results! I love reading your fascinating post and seeing the outcomes!! !